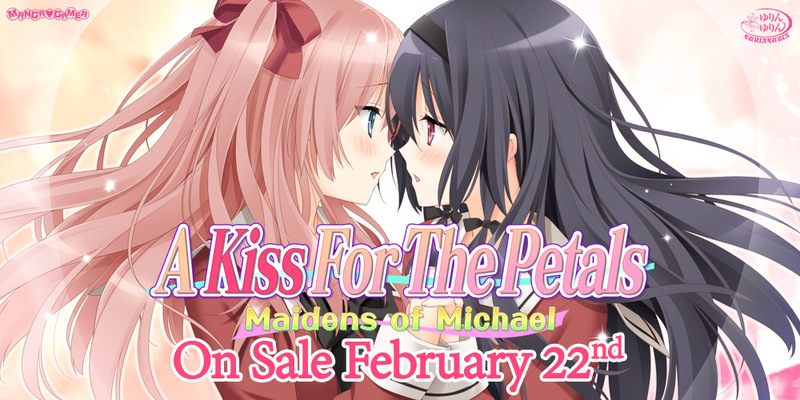 A Kiss for the Petals: Maidens of Michael now available for pre-order! YurinYurin’s A Kiss for the Petals: Maidens of Michael is now available for pre-order on MangaGamer.com! On sale February 22nd! Customers who wish to own the all-ages version of Maidens of Michael on Steam can grab their copy on release day! But that’s not all! The Sonohana team has worked very closely with YurinYurin to bring Maidens of Michael to the west in HD! Compared to the original 800×600 release, our version utilizes unscaled artwork in 1600×1200!